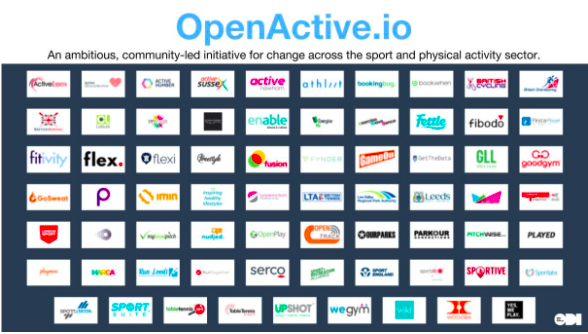 OpenActive, the ODI’s sport and physical activity sector initiative, has successfully established the foundations for open data to help people get active. At the 2016 ODI Summit the ODI announced a partnership with Sport England and acquired OpenActive, a transformative and community-led sector programme using open data to help people in England get active. Now, 11 months later, the ODI is pleased to share that the initiative is making data openly available. OpenActive is building exciting momentum with enthusiasm across the sport and physical activity sector. Over the past 11 months it has been fantastic to see open data published by large leisure operators, national governing bodies and other activity providers. I’m really excited by what the next year holds. Finding out where and when a local running group, dance class or badminton court is available isn’t as easy as booking a flight or planning a journey. Both are made easier by data sharing through open APIs. Information about activities are often difficult to find or out of date, making it harder for those who want to discover something relevant for them. Generating an abundance of open data about sport and physical activity opportunities in England – or ‘open opportunity data’ – makes supporting new and existing products, tools and services designed to help people get active and be inspired to try new things. Originally developed by graduated ODI and ODINE Startup imin, stewardship of OpenActive was taken up by the ODI as part of a partnership with and funding from Sport England, demonstrating an ambition to grow this sector movement. “For 2 years, we funded, coordinated and drove OpenActive from an idea on paper to an initiative with real momentum,” said Dom Fennell, Co-Founder at imin. “We were investing in the growth of the entire sector first, which presented a huge risk to imin as a very young, cash-strapped startup. “We were completely convinced the more advocates there were, the more data we would see in the ecosystem, which would ultimately benefit the market and the companies operating commercially within it. And of course, one of these organisations is imin. The OpenActive project team has worked openly and collaboratively with organisations in the sector. With continued and significant support from organisations like imin, London Sport and Ukactive, the initiative has improved open data literacy, developed a sector-wide open standard, and supported organisations such as major leisure operators and National Governing Bodies responsible for individual sports to publish open opportunity data, so anyone can use it to find when and where sport and physical activities happen. The OpenActive initiative represents the ODI’s approach to addressing sector-wide challenges. As well as supporting people to get more physically active, we are working to tackle human resistance to medicines and facilitate better data sharing to boost competition in retail banking. Doing so requires a collaborative approach to problem-solving, and demands a vibrant set of stakeholders, knowledge-sharing and open practices to tackle a shared problem that is larger than one organisation alone. Over 80 organisations and individuals are part of the initiative. “This data is the foundation for the innovative services that will make a difference in people’s lives,” said Jeni Tennison, CEO at the ODI. “18 million adults in England struggle to maintain an active lifestyle, and the current piecemeal discoverability of opportunities creates another hurdle in keeping them routinely engaged in keeping active. Previously, the collection, management and sharing of data in the sport and physical activity sector has been fragmented, and many organisations have perceived data to be of more value if held onto tightly. We still have much to do in documenting the benefits of a more open, coordinated approach in order to evoke a change in mindset across the sector. The Head of Commercial said: ‘What? You’re giving away our data? For free?’ but when I explained the benefits of doing it and the chance to contribute to a national initiative that could help shape the future of our industry, he quickly understood and reverted his opinion. This approach to driving sector change is underpinned by the view that strong data infrastructure should be built to benefit government, business and society. Supporting people to get more active by unlocking open opportunity data could support the country’s economic growth and wellbeing. Without the support of pioneering organisations willing to drive others forward, the initiative’s early success would have been much slower to accomplish. “The value-exchange between organisations supporting the initiative has been significant in building advocacy, leadership and sharing technical expertise,” said Richard Norris. Over the next year the ODI is committing to drive innovation with open opportunity data. This means helping data users put the data to good use, so the products, tools and services they create can make the experience of discovering and taking part in sport and physical activities as easy as planning a journey. Opening up data and bringing people up to date with technology can push bookings from 80% capacity to 90%, and save operators a lot of time. If people have a better [booking] experience, it keeps them coming back.